On the night of 31 March 1971, two men huddled under a small culvert somewhere on the India-East Pakistan border. A week ago these men – Tajuddin Ahmad and Amirul Islam – were riding the greatest high of their lives, a landslide victory in the Pakistani elections. And now they were hunted men, escaping from their own country like criminals. Their boss – Sheikh Mujibur Rahman – was already in jail and the Pakistani Army was rounding up thousands of their supporters as of that moment. As the morning came, Ahmad and Islam, cold, hungry and scared for their lives, heard the familiar footsteps of army boots. Soldiers in green uniforms began to appear around them. Islam breathed a sigh of relief. For these were Indian soldiers, here to give them refuge. It was still hard to see, but the entry of these two men into India was going to set in motion a chain of events leading to perhaps the most significant war in South Asia since the Second World War. The crisis that had brought Ahmad and Islam to India had its roots in the end of the British Raj. Independence of India and its consequent partition into two countries had left resultant Pakistan as a geographical anomaly unique in the world. Two wings of the nation – West and East Pakistan – were not just separated by a thousand miles of a hostile India, but also by ethnicities and languages. While the west was dominated by Urdu-speaking Punjabis, the east was almost entirely made up of ethnic Bengalis. Further, accidents of history had ensured that the West Pakistan enjoy a certain political dominance over the East. Invariably, this had led to a build-up of resentment that the Bengalis had nursed for decades. The relationship between the two parts of the country was always rocky and periodically worsened over issues like national language. 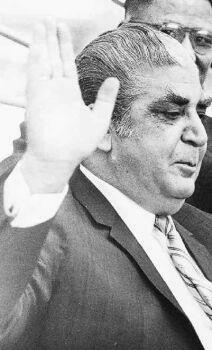 Enter an alcoholic dictator – General Yahya Khan.